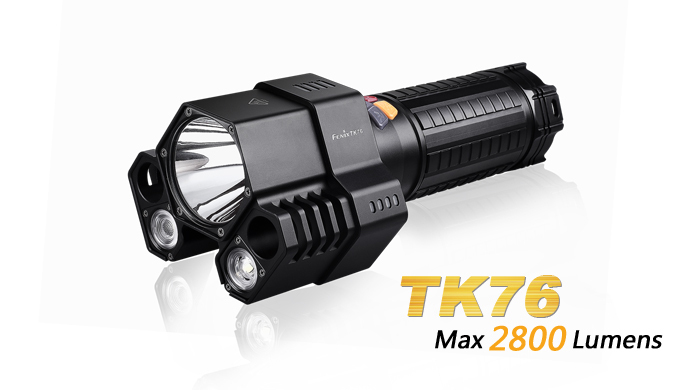 Fenix enters the "space age" with the TK76! 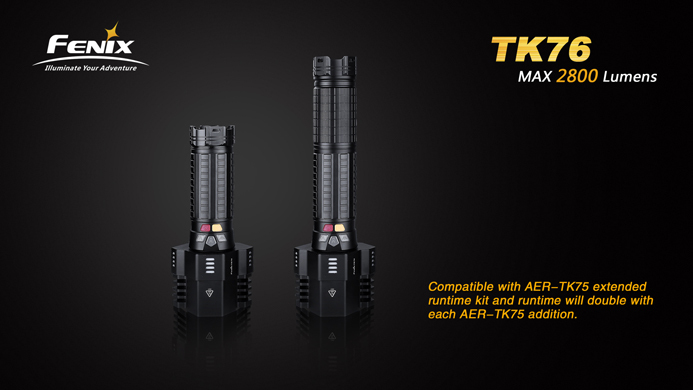 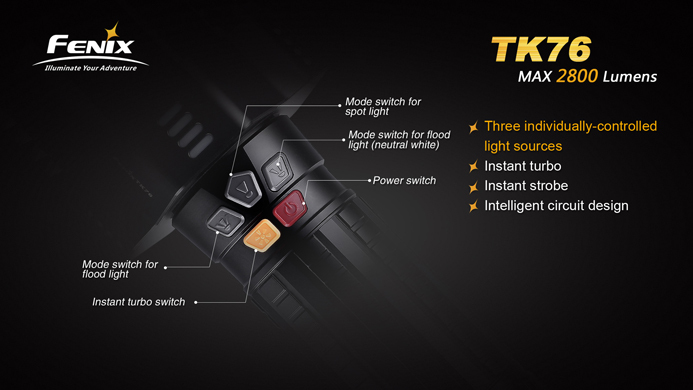 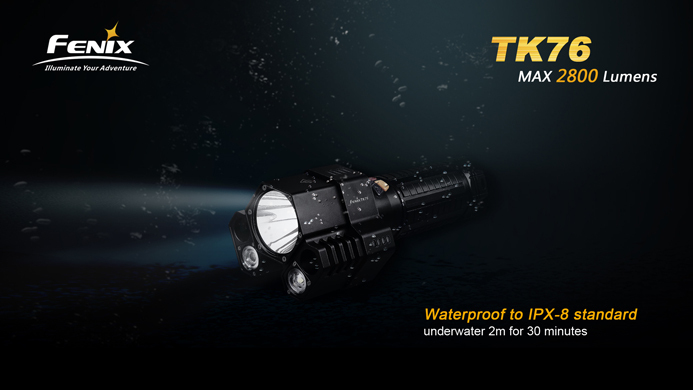 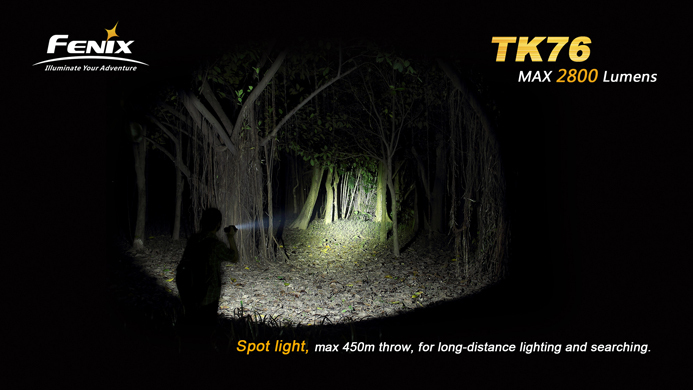 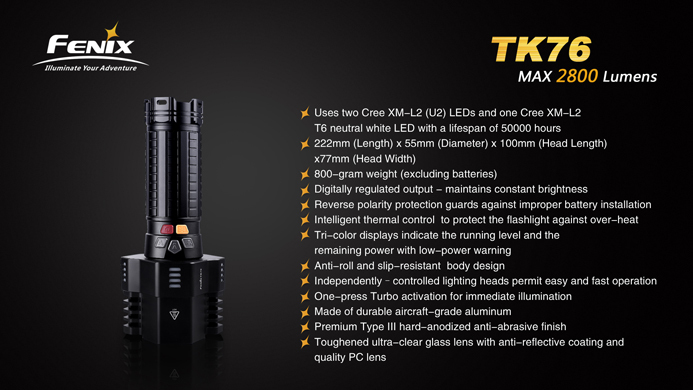 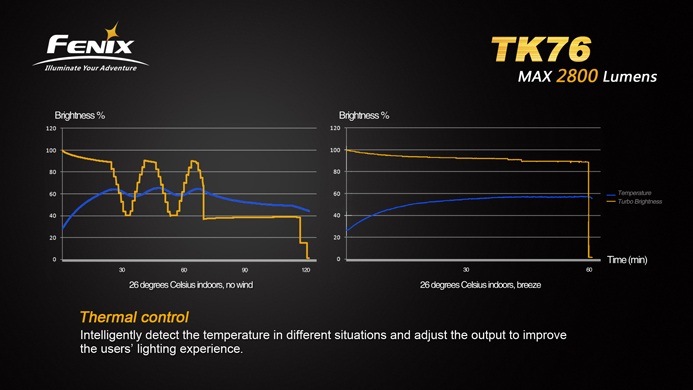 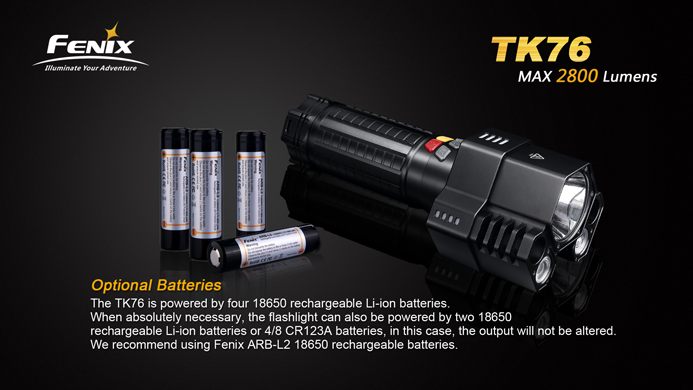 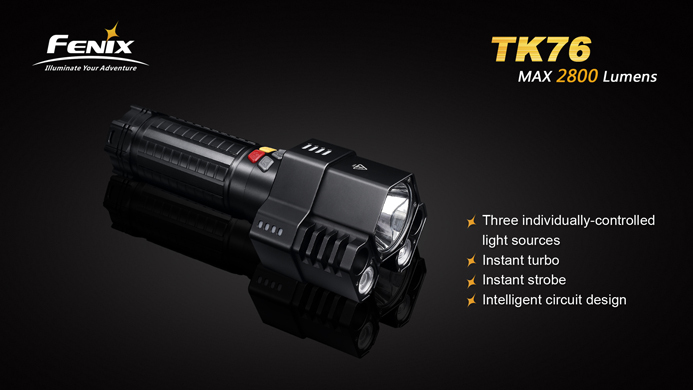 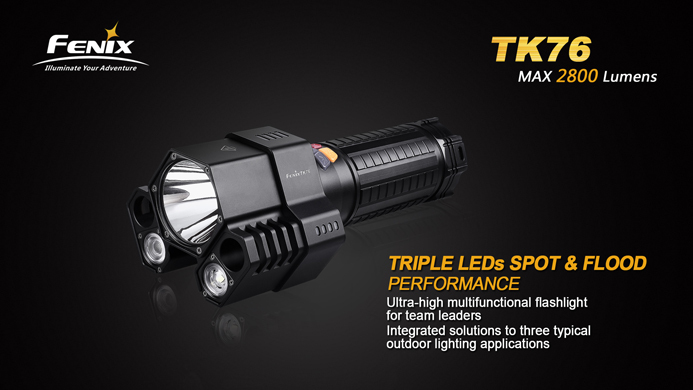 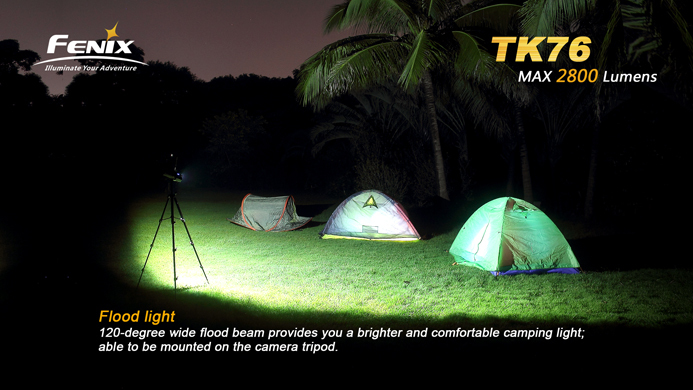 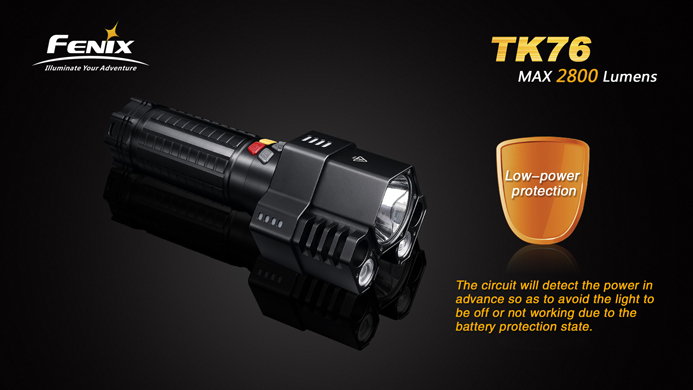 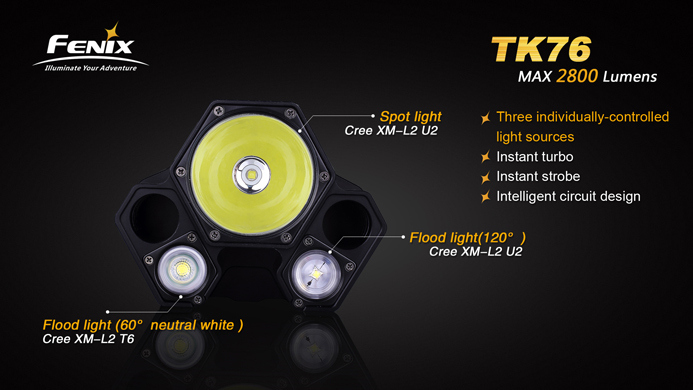 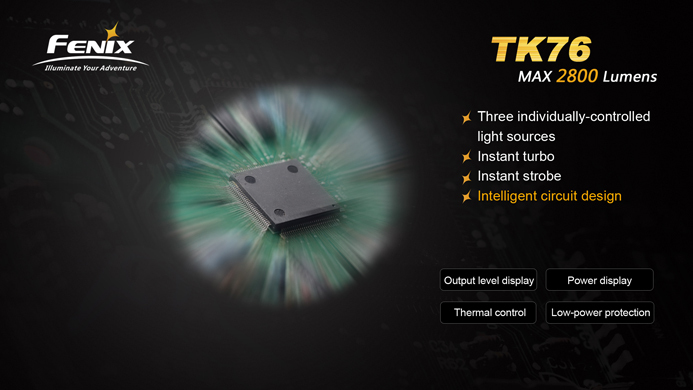 The TK75 utilized 3 separate LEDs to offer a broad range of illumination options and power display function. 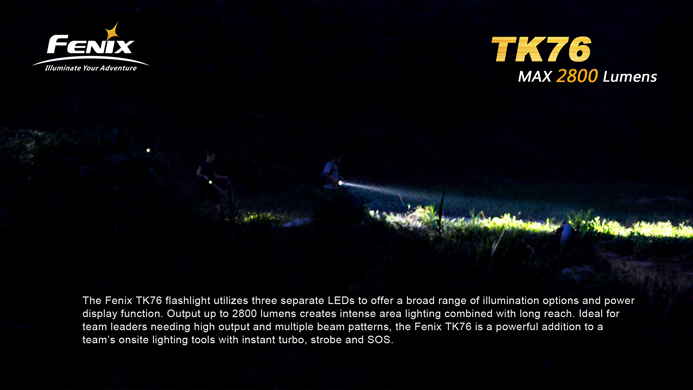 Output up to 2800 lumens creates instense area light combined with long reach. 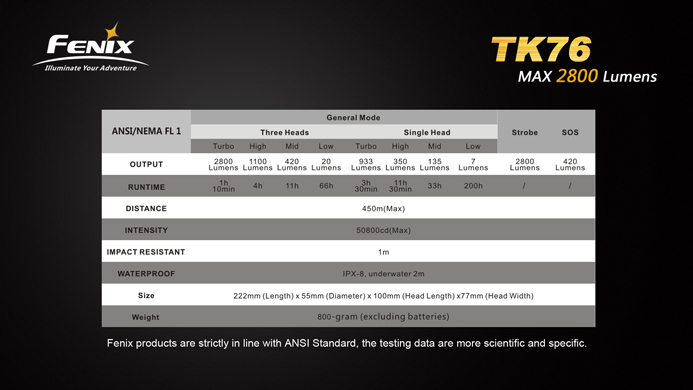 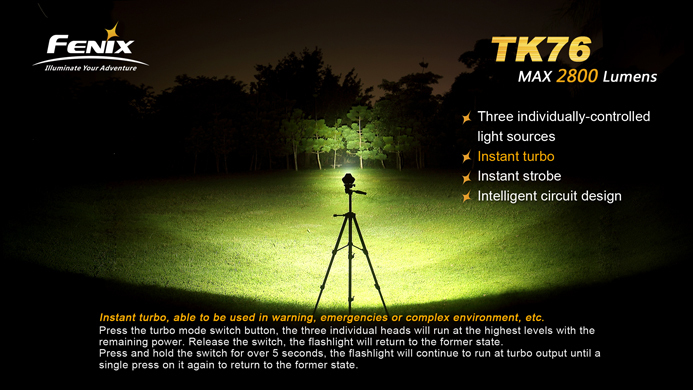 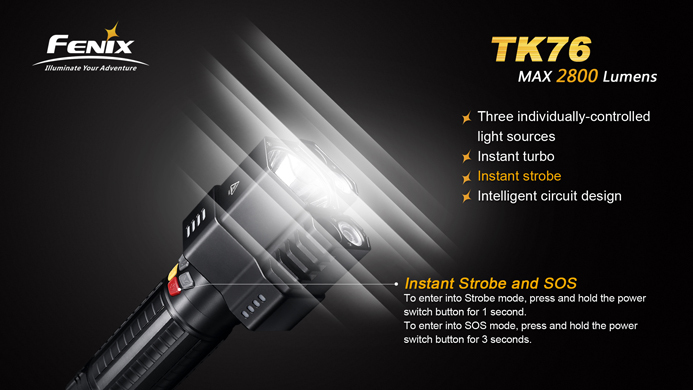 Ideal for team leaders needing high output and multiple beam patterns, the TK76 is a a powerful addition to a team's onsite lighting tool with instant turbo, strobe, and SOS. 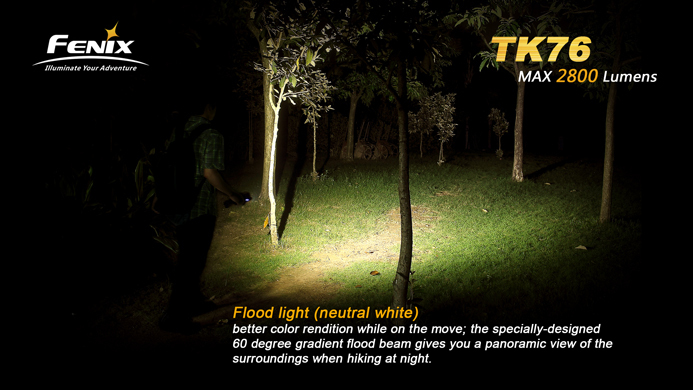 Length: 8.75", Diameter: 2.16", Head Length: 3.9", Head Width: 3"